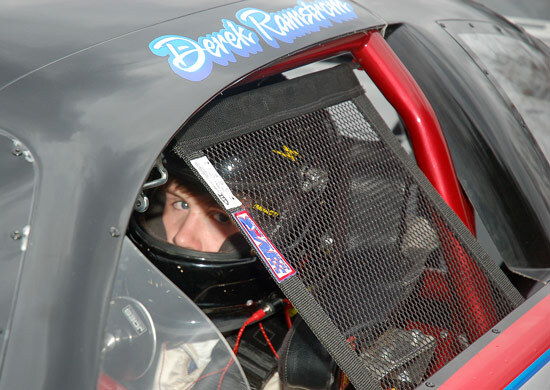 DRIVER: DEREK RAMSTROM - WEST BOYLSTON, MA. PASS Super Late Models: Win at Star 2nd at Seekonk; 6 starts. Thompson Pro Stocks: 2nd in Points; 4 wins and World Series win. NASCAR K&N East Series: 4 starts. Thompson Pro Stock Champion for 2nd time: 5 wins & Icebreaker win. PASS Super Late Models; 3rd at Seekonk; 7 starts. NASCAR K&N East Series: 6th at Greenville; 4 starts. Thompson Pro Stock Champion: 4 wins and Most Popular Driver. NASCAR Camping World East Series: 2 starts, two 12ths. PASS Super Late Models; 3rd at Seekonk; 12 starts. and the World Series on Oct. 19th. and 1 Pole in 14 starts. 3rd place finish at PASS North Beech Ridge 400 Weekend on Sept. 23th. 3rd place finish at PASS South Greenville-Pickens Howler 15 on Oct. 27th. One win, two seconds, and one third. Allison Legacy Cars and 270 MicroSprints. Thompson Speedway Quarter Midget Champion. Second at Quarter Midget Nationals in Oaklane, PA. Winner of Tangerine Bowl, Orlando, FL. First year in Quarter Midgets at age six.